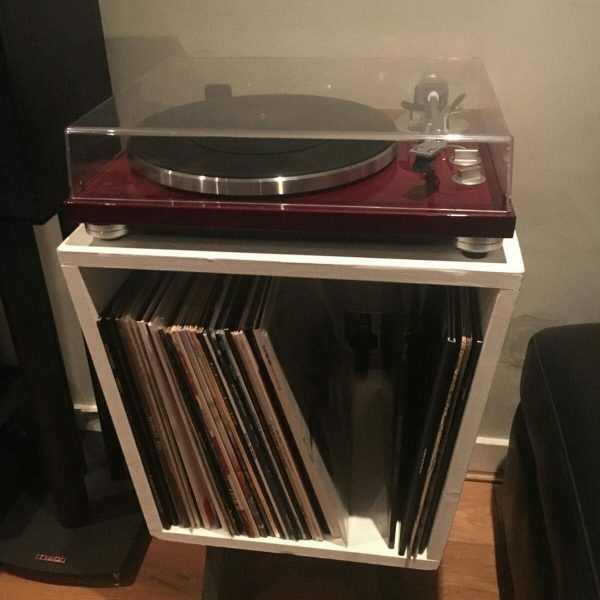 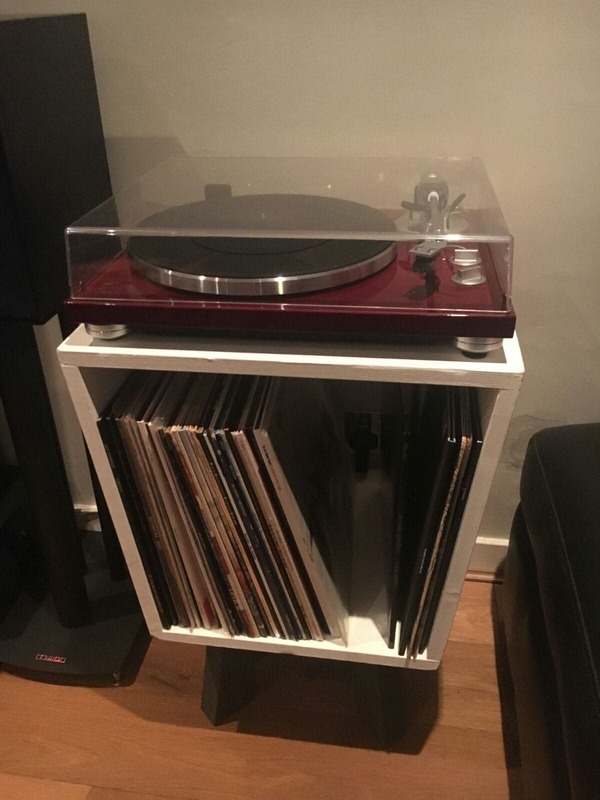 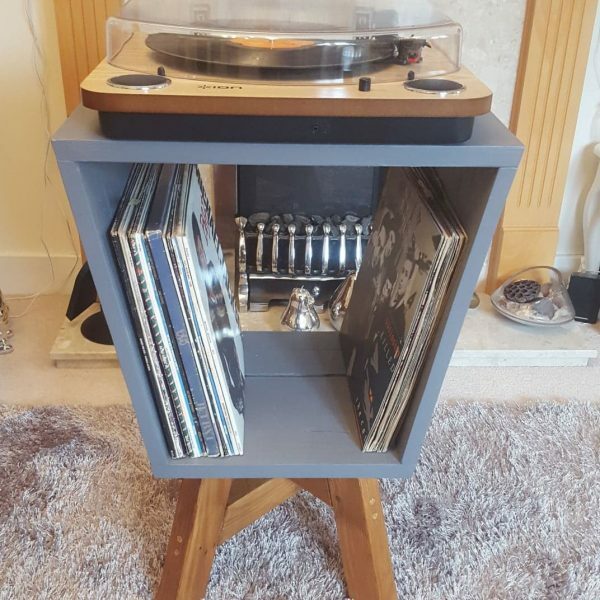 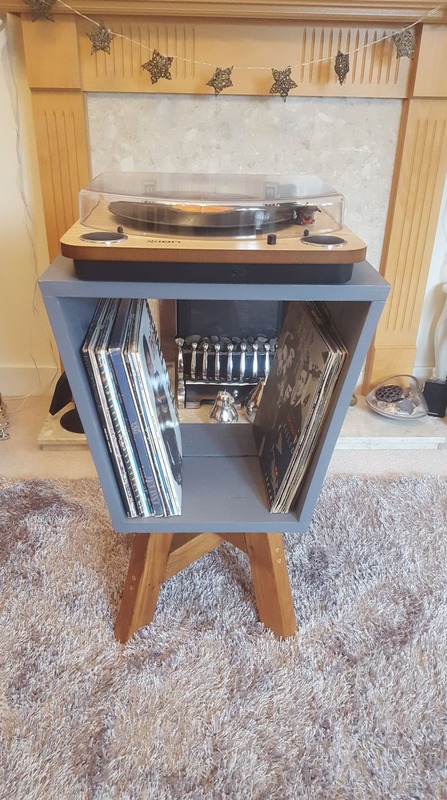 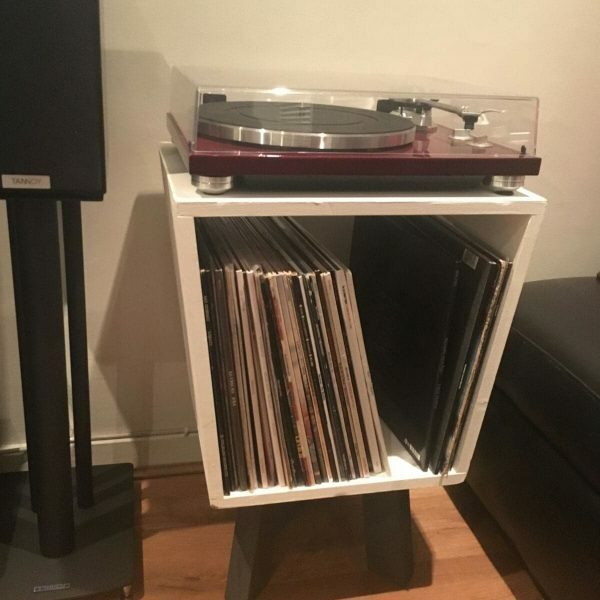 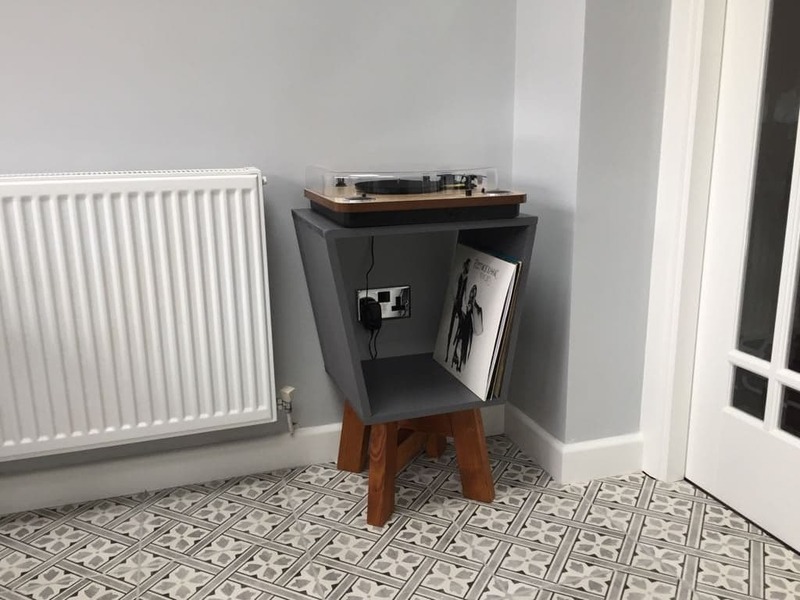 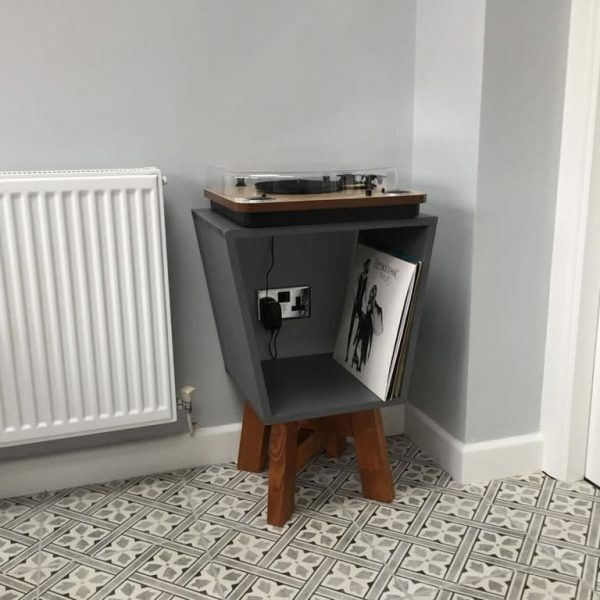 Chic and modern record player stand to display your deck and LP’s. 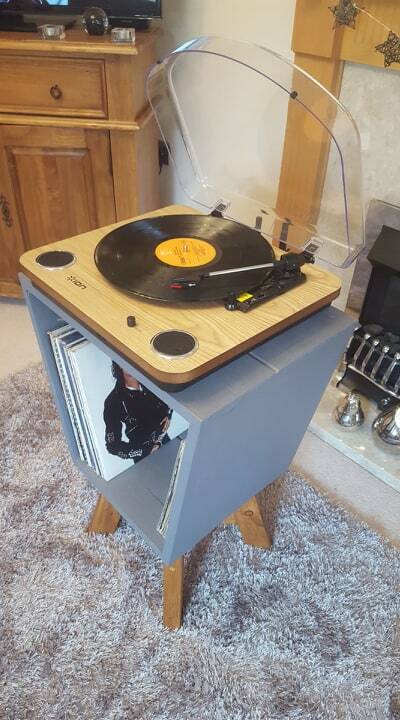 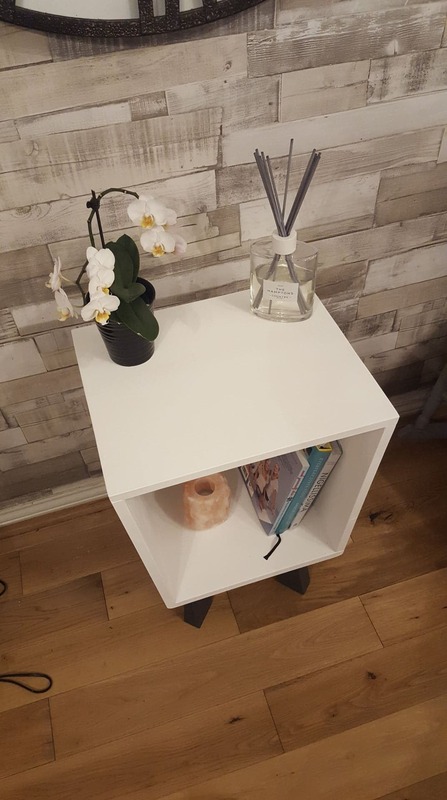 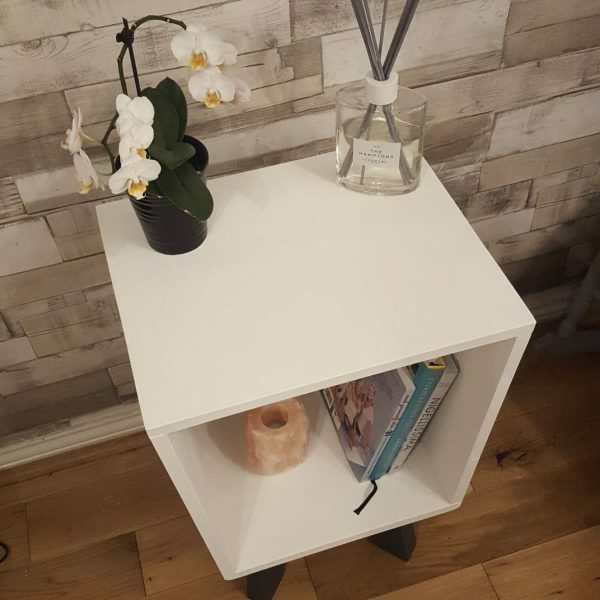 This piece of furniture is designed to fit into a family living area or a bedroom and can hold approx 60 LP’s. 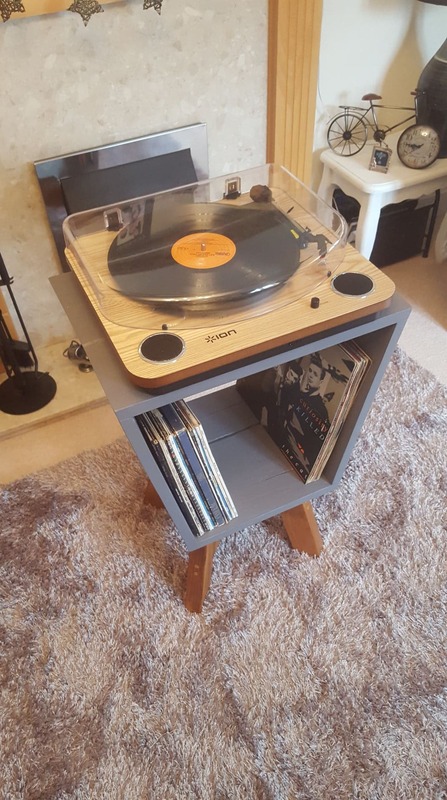 Made from solid timber it is individually designed and built, as well as displaying characteristics of the wood. 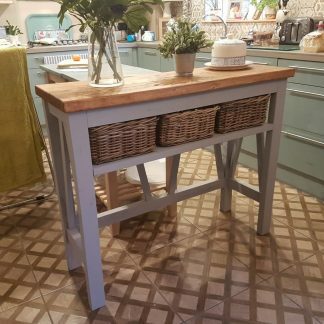 20 mm pine is held together with screws and excellent quality wood adhesive; unlike cheaper produced furniture which can be built using pins. 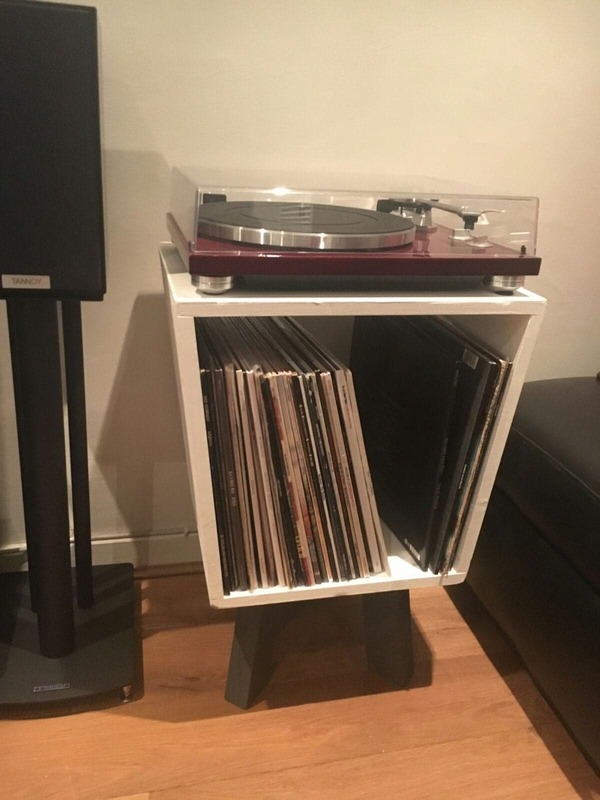 This piece of furniture is also designed to be robust and can take the weight of the equipment and albums with ease. 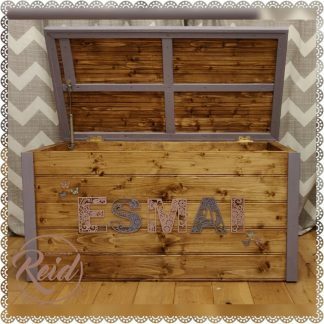 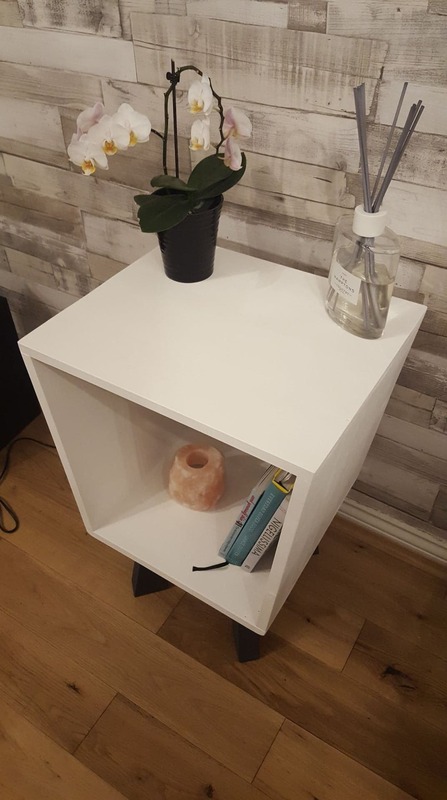 Available in natural stain or painted finish. 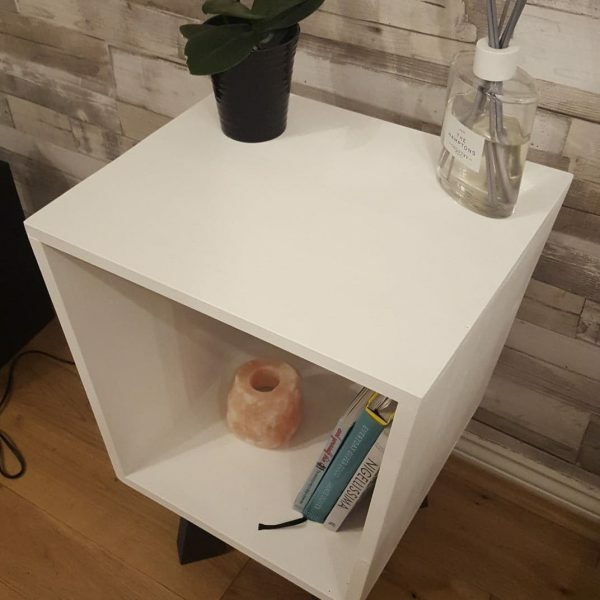 Please leave note to inform the seller of the finish choice (available on payment page). 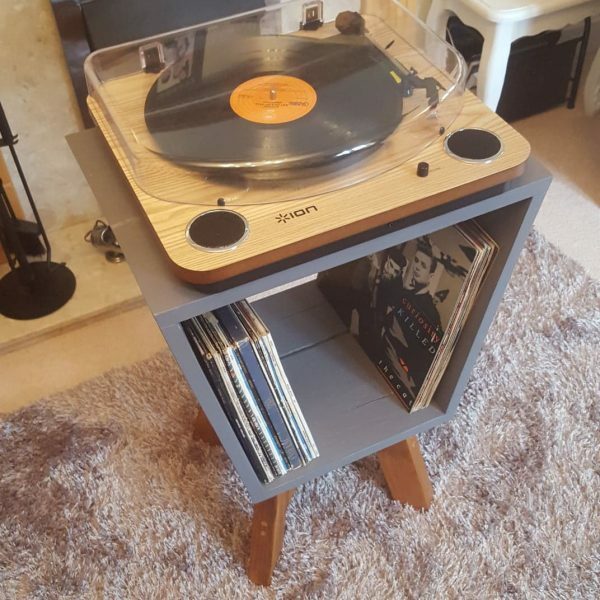 PLEASE NOTE – THESE TABLES ARE MADE TO ORDER SO DELIVERY TIME FROM DAY OF PURCHASE CAN BE UP TO 12 DAYS DEPENDING ON VOLUME OF ORDERS.